As a part of the Vancouver Heritage Foundation’s ‘Places that Matter‘ committee, I get my fix of local history at every meeting. 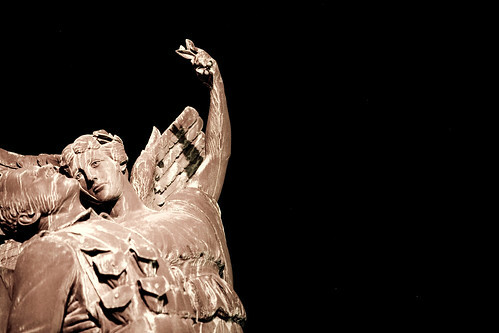 I was recently looking through some of the sites already nominated for designation and found the Angel of Victory. 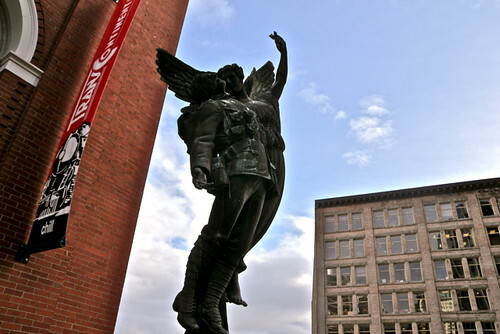 Installed in 1921, it is one of the city’s most prominent statues, located along Cordova St, right in front of Waterfront Station [Google Map]. 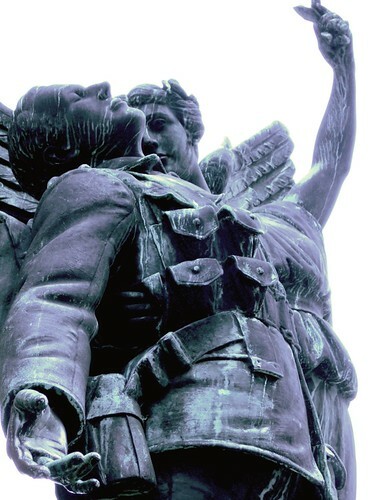 The bronze depiction is of an angel carrying a World War I soldier up to heaven. 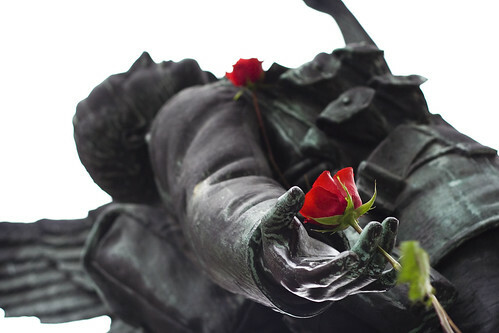 According to the City, this is one of three identical statues (the others in Montreal and Winnipeg) commissioned by the CPR to honour their workers who made the ultimate sacrifice by going to war. The angel originally held a full wreath in her upraised hand and after WW II, the dates of that war were also added to the plaque. 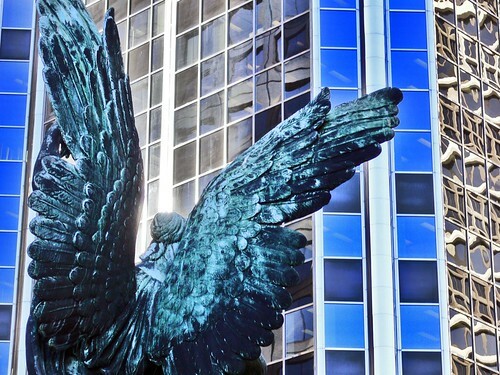 The Angel of Victory has inspired me to start a new series called Vancouver Icons. I will be featuring classic Vancouver locations and monuments, offering a bit of history, and sharing a collection of photos that I find on Flickr. The series will be updated at least once every week. Nominations are still open for ‘Places that Matter‘ to you in Vancouver until March 15th. Criteria can be found on the online nomination form. I LOVE your history stuff and am really looking forward to this new edition! I think that the new series will be great! I have lived here my whole life and didn’t know anything about this statue. Thanks for making more people aware. 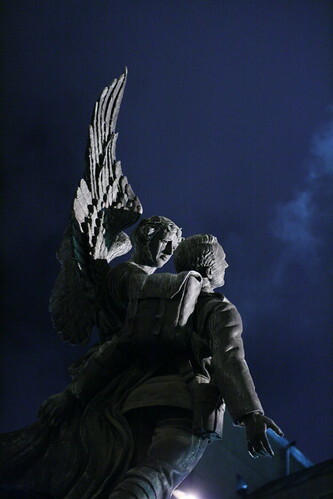 Angel of Victory was included as part of our 2009 Top 10 Endangered Sites as #6 Historic Monuments, due to the City having no plan in place for their maintenance, repair or restoration, nor is there any identified budget or management plan for their long term conservation. I love this statue! One of the nicest in our fine city! I loved this piece on Vancouver Icons and look forward the next one. Great piece! I’m also looking forward to your highlighting additional Vancouver icons in the near future.